Your newborn crying at birth: what lovelier sound is there to hear? Filling her lungs with air, she lets you know she is here, loud and clear. Crying is also the first way for your newborn to communicate with you. In the first weeks and months after birth, crying is part of how baby talks to you. It lets her tell you she's hungry, uncomfortable, cold, in pain, is sad or needs your help. So newborn crying is very normal. Most of the time, you will very easily soothe her, simply by giving her what she needs: a cuddle, feeding, a clean diaper, etc. There may be times when soothing your crying baby is not so easy. Many newborn babies have a so-called crying time, usually in late afternoon or evening. For no apparent reason, a baby then cries, and is not easily soothed. This is what most people refer to with baby colic. There is no unique explanation for it and it is not necessarily related to cramps or any other digestion problem. Colic in infants usually starts around 3 weeks old, peaks at 6 to 8 weeks and most babies grow out of it by the age of 3 or 4 months. What to do? Soothe your baby as much as you can. Many parents worry about holding their babies too much, fearing they will spoil them but no worries. Research shows that babies cannot be spoilt until the age of 8 months old. A tiny baby needs your help and reassurance and you can give her all of that, without holding back. Of course always in accordance with how you feel and what you feel is right. What helps a lot when trying to soothe a crying baby is when you are calm and relaxed yourself. Which is not always easy with a crying baby nearby, I know. Taking a few long deep breaths can help, and remember that you are helping your baby. Don't take it personal, she is not trying to annoy you, she can't help it either. If you have your partner or anyone else around, do not hesitate to have them try to soothe your baby. 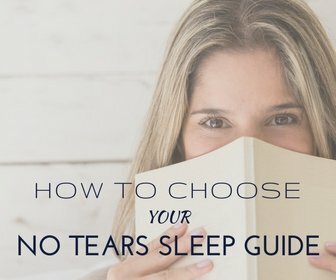 So it's absolutely normal for your newborn to be crying. Some babies though, will cry more than average without any apparent reason. Many call these darlings cry babies. Having a cry baby is a very tough challenge for parents. When is a baby crying excessively? A cry baby cries excessively: more than 'normal' for a baby of her age. Because all babies are so different, defining 'normal' is not easy. A cry baby is also often restless, over stretches and many times screams rather than cries. Many cry babies communicate very little, it is hard to get through to them. 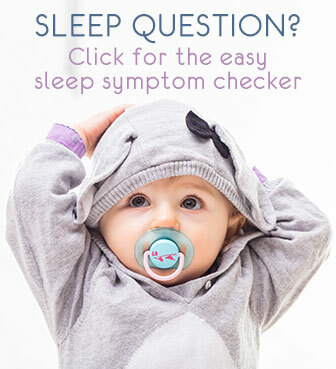 Use all the above tips to soothe your baby. Seek help, consult your pediatrician or general practitioner to make sure the crying does not have an apparent medical reason: sometimes there is, sometimes there isn't. Don't hesitate to seek help for yourself too, accept help from family and friends and get medical help if you require it. You can also contact me here for support and advice. Carrying your baby in a baby sling can be very effective to soothe a cry baby and keep her as comfortable as possible. If you can, consult a good osteopath or chiropractor, specialised to work with babies. Many moms of cry babies have had difficult pregnancies and most often a difficult delivery. Baby can have a bone, vertebra or nerve stuck somehow, build up some tensions in that tiny little body, and that can make her very uncomfortable, and cry. A good osteopath can spot and treat this kind of problem and many parents have reported having a whole new baby after just a few sessions. See the Cranial Osteopathy Therapy Checklist to quickly see if it could help you out. Crying it out as a sleep method to soothe your baby or to make her sleep is not suited for a newborn. At later ages, there are many different opinions, pro's and con's, but it is not OK to let a newborn cry it out. It will not help or teach your baby anything, but may harm her. What if you have tried all you can to soothe her, are tired and exhausted yourself and simply cannot bring yourself to try and soothe her? Then you have to try and find a professional, or a friend or family member who can help you. Failing that, at any moment when you just cannot take it anymore: put your baby down in her crib, make sure she is safe. Then take a few moments for yourself: take several long deep breaths and allow yourself to calm down before returning to your baby. Check on your baby often to make sure she is alright. Use all the above advice to help improve how you feel and your newborn crying. Never hesitate to contact me for support. To help teach your new baby the right sleeping skills, you may find my free Complete Newborn Sleep Guide useful.